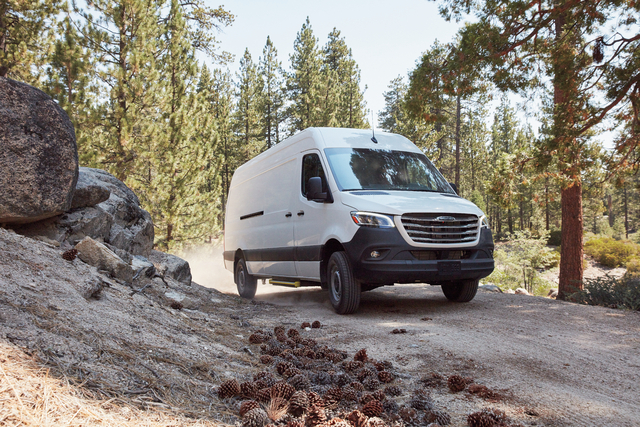 The 2019 Mercedes-Benz Sprinter will be made in a new factory in South Carolina, and will be available with both gas and diesel engines. 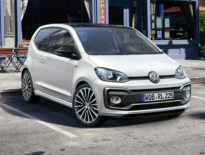 The new van is designed fully in house (the previous model was made with Volkswagen), and features a new body, and the new MBUX infotainment system. For the US market, the Sprinter is available with either a 3L V6 turbo-diesel or a 2L gas engine. The van will be available as a 2-seat cab chassis, 2-seat cargo van, 4-seat crew van, and 14-person passenger van. The new Mercedes-Benz Sprinter and Freightliner Sprinter go on sale in the USA by the end of 2018. 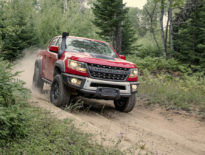 Starting with the third generation model, the Sprinter will be made in a new factory in North Charleston, South Carolina. Amazon has agreed to take 20,000 branded vans for delivery services.